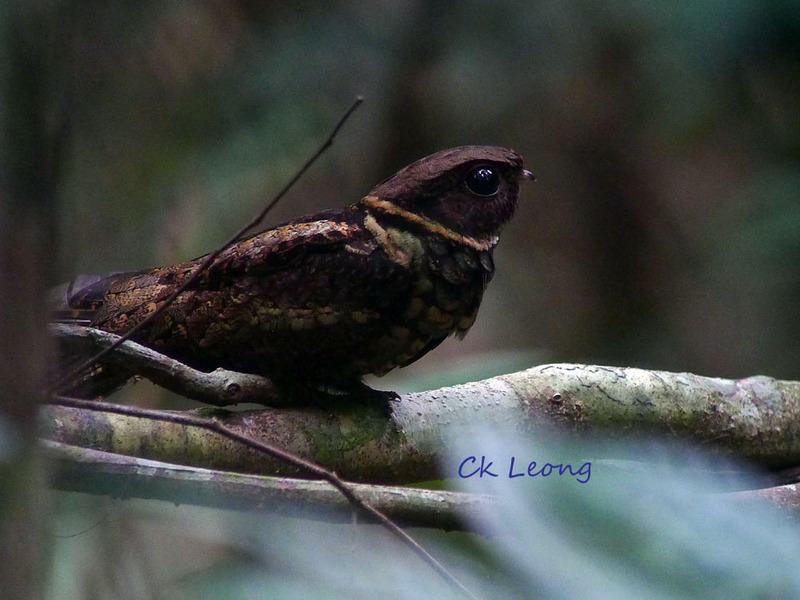 I flushed out this of a pair of roosting Malaysian Eared Nightjar Eurostopodus temminckii after going off trail while birding recently at the Sungai Wain Protected Forest near Balikpapan in Kalimantan. Prior to this, I have seen this bird only in flight. Its habits are quite predictable, roosting during the day and flying out as soon as it gets dark. 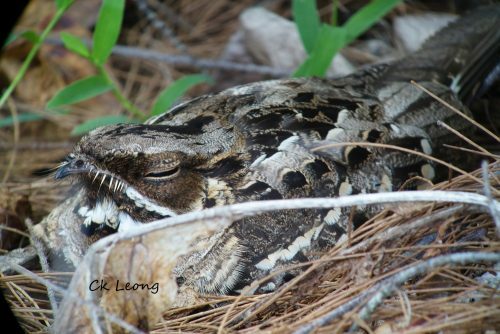 It usually flies just over the forest canopy, accompanied by its distinctive 3 note calls. It was truly exciting to be able to see it perched.